You want to go for a walk. Or visiting friends or family. Sometimes you just want to remove the noises and incentives. Another time you might want to create more shade in the stroller. How can you do this quickly? Actually, this topic starts with a tip: make sure you always have a hydrophilic Swaddle in the diaper bag. There are really nice designs nowadays. But a standard white is also good. 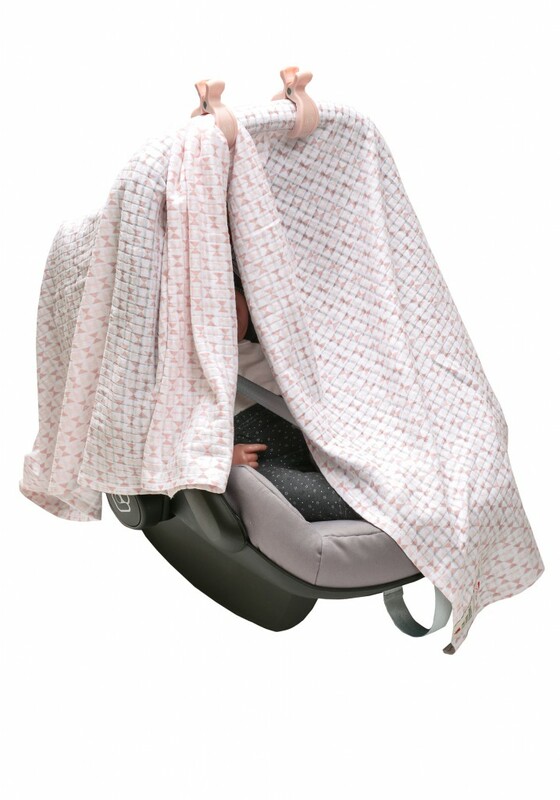 This swaddle, you can directly use it for everything: an accident, with feeding, extra layer in cold weather, but also in the stroller, the Swaddle is handy. If you want to place the hydrophilic Swaddle over the hood, you'll soon notice that this is not ideal. A breath of wind, and off it goes. And running down the street chasing the Swaddle might be funny for bystanders , but it is not something you're waiting for. Lodger Swaddle Clips are developed to make it easy to attach a hydrophilic Swaddles on the hood of the stroller. 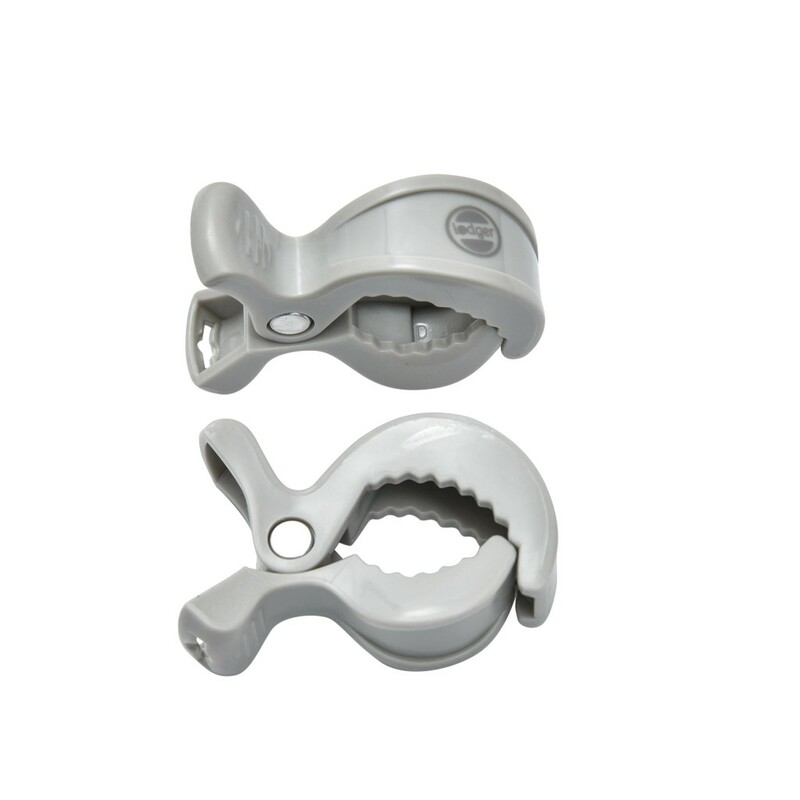 The clips are also suitable to fasten a cloth to a Car seat. The clips have been designed in a way that they do not damage your car. The clips fit on every car. 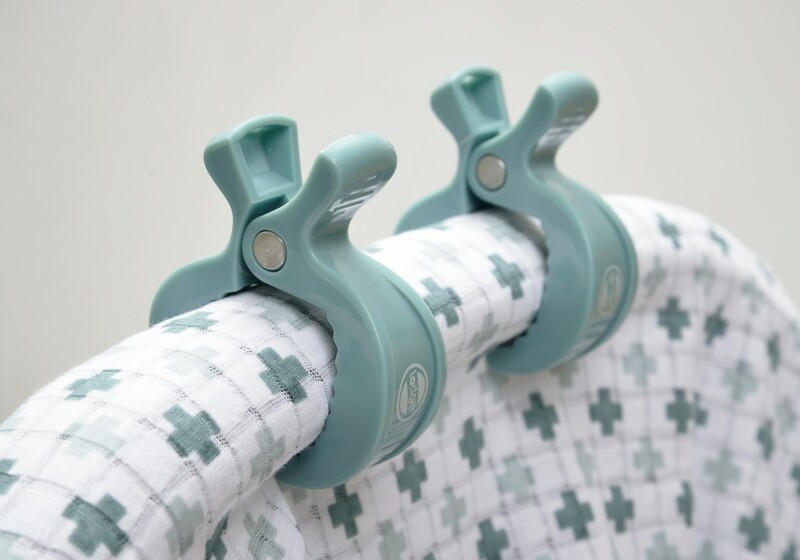 If you do not need the clips to attach a hydrophilic Swaddle, then they turn out multi-functional. The clips can also be used to attach toys to the stroller to keep things together, etc. Put them not to soon away, because you will have lots of fun! Swaddle the clips sold by 2 or 4. They come in different colors, so you will surely fit a color stroller or hydrophilic cloth. The clips are available in black, white, pink, mint and gray. Always make sure that there is adequate ventilation in the stroller. Do not close it completely off, but let fresh air come in the box. Also check the apron of the stroller is still needed to sit in the stroller. It may soon be very hot in a tank: no wind, no fresh air, hood up, apron over it .... Regularly check that it is not stuffy or too hot for your child, and take steps as necessary. Hi I'm Liv from Lodger! I love to give you advice about our products.